作者: The AsiaN Editor on 22 August , 2016. [The AsiaN – Editorial Desk] Hyunjung Yang (38) has been unfairly detained in a Mexico prison for the last eight months because of the irresponsibility of the Korean Embassy and the police consul. On January 15th, Ms. Yang was arrested by armed Mexican officers while helping out at “W Karaoke,” a business managed by Ms. Yang’s sister’s acquaintance. 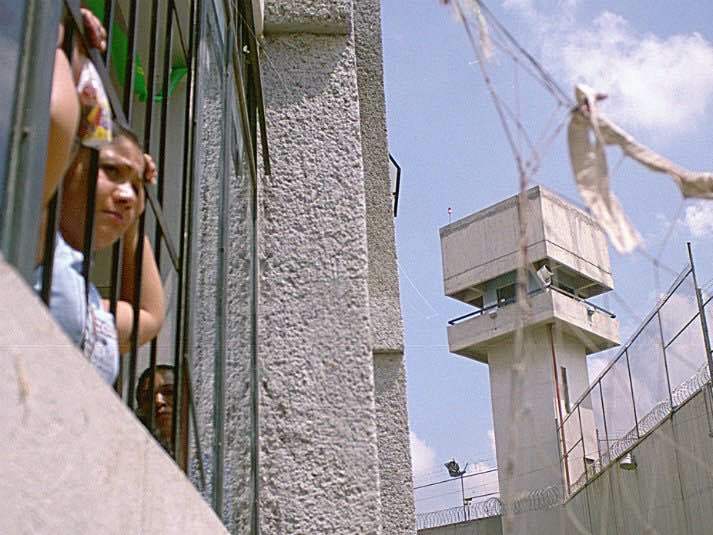 She was detained and questioned by Mexican prosecutors for three days before being incarcerated at the infamous Santa Martha Penitentiary in the outskirts of Mexico City. Charged with human trafficking, she has served 220 in prison as of the 21st of August. Ms. Yang’s handwritten letter tells her story of life in prison, the context of her arrest, and the irresponsibility of Lee, Yimgul, the police consul at the Korean Embassy of Mexico. Somebody please listen to my story. My name is Yang, Hyunjung, I am 38 years old, and I have spent the last 8 months in a Mexican prison. I am charged with human trafficking and procuring prostitution, a charge more serious than murder in Mexico, and awaiting trial. My actual job is designing clothes for pets. I have worked in the animal fashion business for two years in Korea, and visited Mexico in 2015, on November 22nd to mix business research and pleasure. A few days before I was about to return to Korea, I was held up by armed, masked men for hours at the W Karaoke, a Korean Karaoke where I was supposed to meet my sister and her acquaintance. I was put in a car without explanation and carried to an unknown location. I was handcuffed, inhumanely treated, and sexually harassed for 72 hours. Finally, I was relocated to Santa Martha Penitentiary, where I am today. My sister was allowed to visit almost three weeks after I was arrested, and only then did I hear my charges. Prisoners have four visitation rights a week, but I was not granted that right. I was not given basic necessities like toilet paper and a toothbrush for days. Please imagine the situation from my perspective. I am totally new to Mexico, don’t speak Spanish, was surrounded and carried against my will to a car, was denied food, drink, bathroom use, and my dignity, and finally I was placed in this prison. Of course, I had no official translator throughout this process. I wanted to talk to my sister, but all I was given were a dirty, ragged pants that are too big for me, a sweater that is barely hanging together, and a moldy blanket. For several days, I didn’t have shoes to wear. I am sleeping on the floor in front of the (doorless) bathroom with 15 other inmates in a ten square meter space. Does this make sense? This is not a movie, the date is 2016, and my nightmare continues. I am not writing to ask for lenience. If I broke the law, I accept the punishment. Time is incredibly long and slow in prison. I have a lot of time to think. I helped a guy (my sister’s boyfriend) organize his ledger in Excel. Without pay. I cannot understand how that is a crime for which I should pay for with my life. All I ask is that you look and listen to understand and figure out the truth behind this case. I am living in an 8-month nightmare, and it continues. At this point, dreams feel more real than my nightmare reality. What I want more than anything right now is a warm meal with my family. This simple dream is not possible in my reality. And there are people who make my ordeal doubly, triply worse. The Korean police consul, who has witnessed my story and read the court case, is taking the side of the Mexican prosecutors and their story full of holes. Even if I were guilty, isn’t it the job of the consul to listen and defend your fellow citizen? I am trying to live now. I take my meds to go to sleep, and I shovel food down my throat as I take my pills. Mr. Lim, you told me that you were “too good” to me? Yes, I think about that all the time and that gives me the strength to survive. When I get out of here, I will do you “good.” You forced me to sign a document that I cannot read. You turned five Korean women into prostitutes, and me a human trafficking pimp. Thank you very much! There is so much more. You have done me so much good. As a grateful human being, I will not forget all the “good” you have done me. The more I think about it, the angrier I am. I am oppressed, frustrated, confused, and angry. I cannot understand the consul. I feel desperate. In this small space with many people, I cannot scream, shout, or cry. I am not allowed such luxuries. I face death many times a day, but I will survive. I will survive because I will show the people who pointed and called me names the truth. I will hear them apologize. Please, I beg the consul. If you know the truth of this case, stop hurting me and my family with gossip. The body can be healed, but the heart mends harder. Please, stop protecting yourself with lies and meanness. Apologize and recognize what you did wrong, and prevent other people from being in my situation. It’s almost Chuseok (Korean Thanksgiving Day). My mother is sick and helpless after the death of my father. When we talk on the phone she can only cry. She doesn’t even know that I am in prison…, I suppose she feels my pain without my saying anything. Why must I spend my precious life in a prison in Mexico? Why must I spend the time I could spend with my family being treated less than human, in a place with convicts whose words I cannot understand? I beg you again. Please see the truth, please do not use hurtful words. Please return my real job, my name, and family to me. Help me wake up from this nightmare. Figuring out what lies to tell my mother to explain why I cannot be home for Chuseok kills my heart. Hopefully,God be with HyunJung and get back to she’s home soon. Everytime I read stories like this, I feel shame to be a mexican woman. The saddest thing of this story is that mostly of women in mexican jails are innocent or locked in those hell holes for minor crimes. I hope Hyungjeong’s voice be heard and Korean consul (or maybe mexican system, but didn’t so) check her case and help her.